The professionals at Rodger’s Plumbing can diagnose your garbage disposal to find the problem quickly and determined if it needs to be repaired or replaced. We have the tools and knowledge to fix the problem so that you can continue using your disposal. Rodger’s Plumbing is a fully licensed and insured plumbing company serving Dallas, Texas providing a wide range of plumbing services. If you live in the Dallas, TX area including towns of: Frisco, Hebron, Mckinney, North Irving, North Mesquite, Rowlett, Murphy, Wylie, Sachse, Garland, Allen, North Dallas, Richardson, Plano, Carrollton, Addison, Farmers Branch, Coppell, Highland Park, and University Park and are looking for garbage disposal help, call Rodger’s Plumbing at (972) 931-1021. 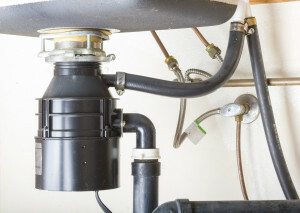 Our trained professionals can help you with any garbage disposal repairs or replacements.